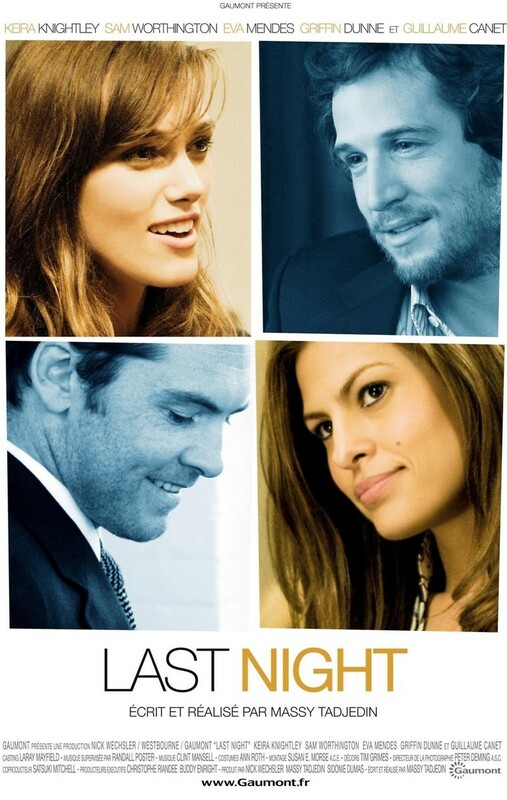 Last Night DVD release date was set for August 2, 2011. Joanna and Michael are a happily married couple, but Joanna believes that Michael is attracted to his work partner Laura. Michael denies the attraction and thinking she has over-reacted, Joanna let's the matter drop. When Michael must go out of town with Laura for business, he realizes that he is attracted to Laura and must resist the temptation. Meanwhile by home, Joanna faces a similar problem when an old flame suddenly shows back up and reenters Joanna's life.